If you’ve ever purchased Candi Sugar from your local homebrew shop, it’s OK, we all make mistakes. Purchasing this stuff is a rip off, let’s make our own! 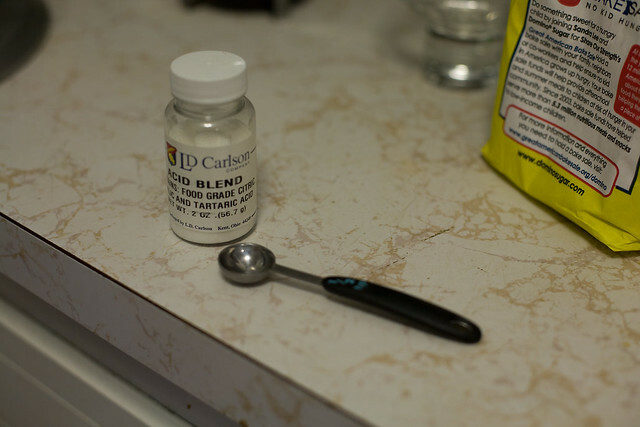 1/2 teaspoon of food safe acid (citric acid, lemon juice, cream of tarter, etc.). If we were making our sugar for later use, then we’d want somewhere to let it cool into a thin sheet. Silpats are best, but a cookie sheet would work. However, today we are making our sugar on brew day, while our mash is resting. We are going to be boiling our sugar water, so it’s a little bit quicker to heat the water up before adding in the sugar. 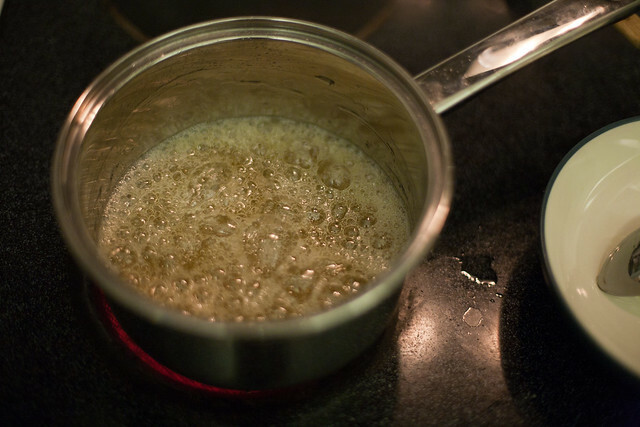 Once the water is near a boil, we’ll spoon in the sugar and stir to avoid scorching any undissolved sugar to the bottom of the pan. 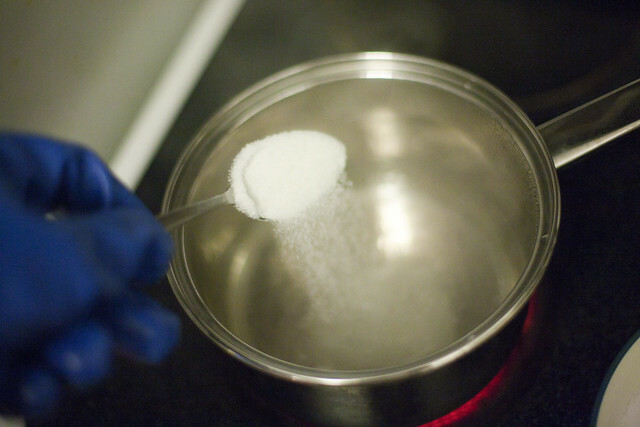 Once all the sugar is dissolved into the water, we’ll bring it to a boil. 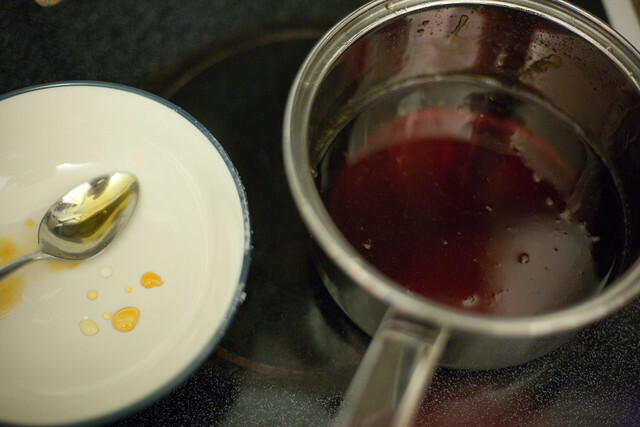 Adding acid to the mixture inverts the sugar. Which basically means that is changes up the crystalline structure of the sucrose molecules. 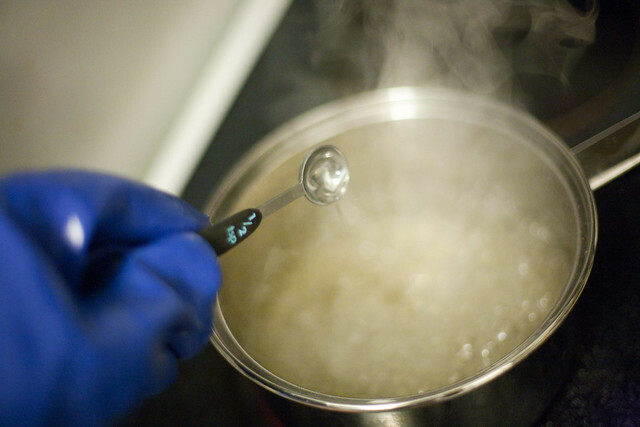 By making the molecules more rigid, it makes the sugar simpler for yeast to digest. 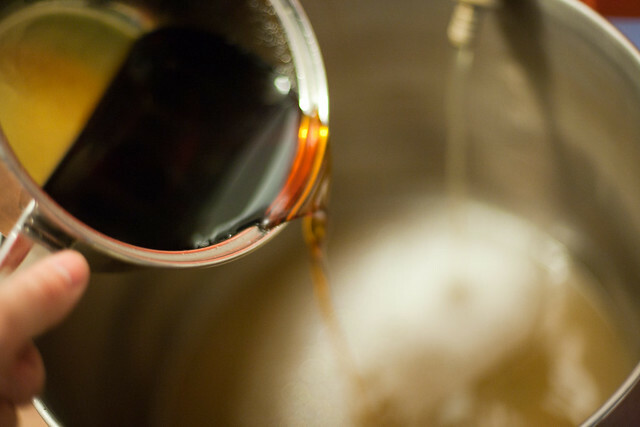 Invert sugar goes back a long way in brewing. Belgian and British brewers have been using it for centuries. 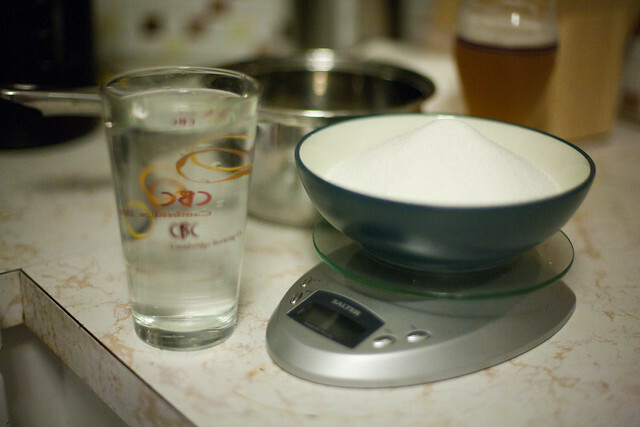 To invert this batch sugar, I’m using some an acid blend I purchased at my local homebrew shop. 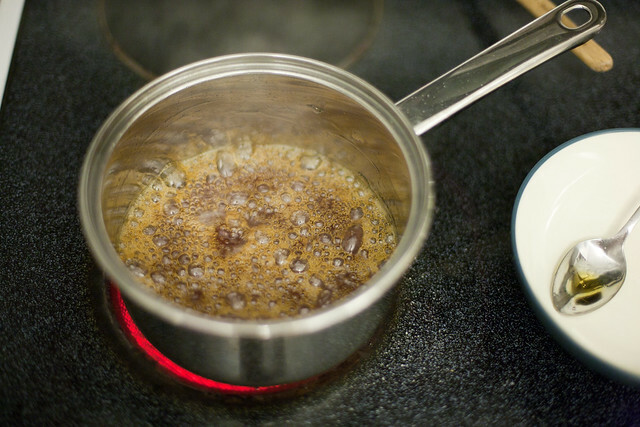 I’ll add about a half teaspoon to the boiling sugar water. 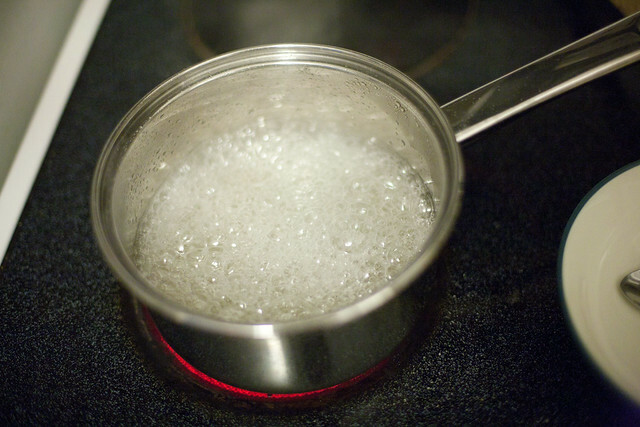 Now, we basically just watch it boil. 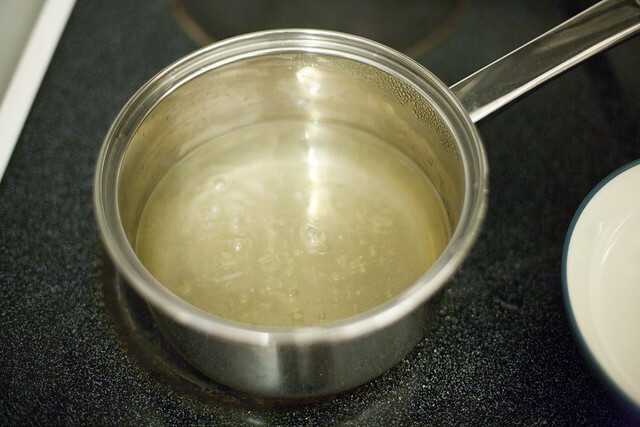 Once all of the water has been boiled off, the sugar will start to cook. Shortly after, it will begin to darken. Once the darkening starts, it continues quickly, I’m ready with some cool water to stop the process. 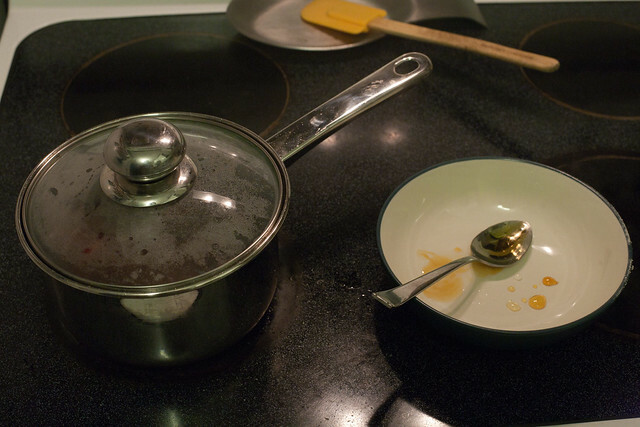 I’m keeping a white plate and a spoon nearby to check the sugar’s color through the cooking process. 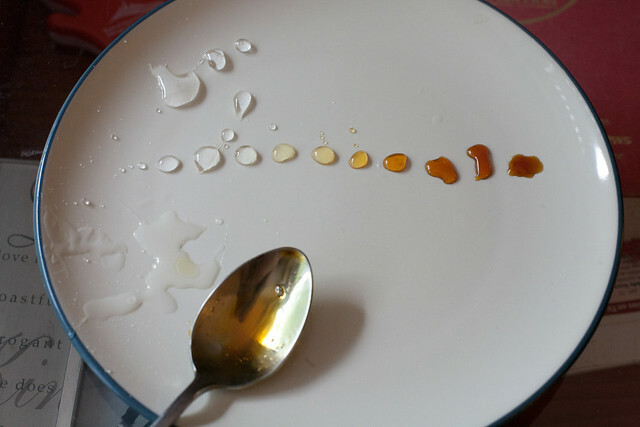 Every 20 seconds or so, I’ll dab a little of the sugar onto the plate to see its color. When we find our desired color it’s time to cool things off. The different colors during the cooking process. 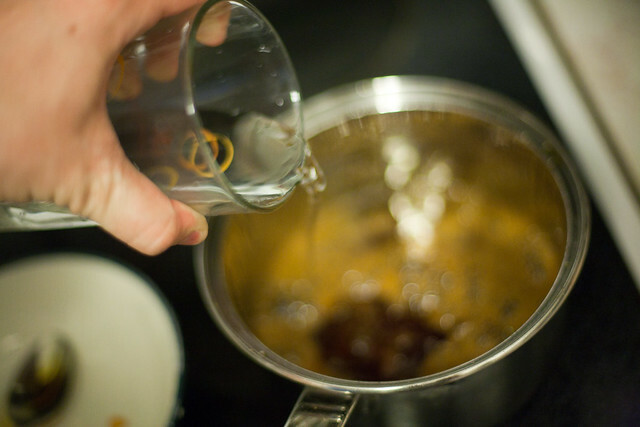 Remove from heat, and add a little cool water. I added about a 1/3 of a pint. That should stop the cooking process. If we were going to cool this back into solid form, we’d pour the mixture onto a silpat or into a cookie pan and let it cool. However, since going straight into the wort, we’ll just cover it. Add it to the wort! Pretty simple stuff, huh? It only took about 20 minutes to make some premium invert sugar cooked to our own color specifications. Soon enough we will enjoy the added color and alcohol to our brew, without fattening up the it’s body!